You can eat currant berries plain, by themselves. Some people also like to cook them into preserves or jellies, or use them as a topping on ice cream or pancakes. According to the University of Wyoming, the correct harvest time for currant berries varies, depending on temperatures, rainfall and elevation. In general, plan to pick currant berries in the late summer. To positively identify currant berries, examine the characteristics of the bush. Examine the bush. Currant bushes can grow up to 5 feet high and about that wide. If the plant is a currant bush, it should appear to be a “clump” of many different stems. Check the leaves of the bush. Currant bushes have alternately-spaced leaves (they are not opposite each other on the stem). The leaves should appear similar to that of a maple. They are lobed, with toothed edges. The black currant bush has pale green-colored leaves while the red currant bush has a deeper greenish-bluish shade. Examine the flowers of the bush. Currant bushes flower in the spring. Currant bush flowers are bell-shaped and yellowish-whitish. They grow in a row, alternately-spaced. Check the bush for currant berries if you have positively identified the shrub as being a currant bush. Unripe currant berries are green, whether they are black or red. The berries grow in a cluster, or a chain. Red currants are a reddish color and tend to ripen all at once. 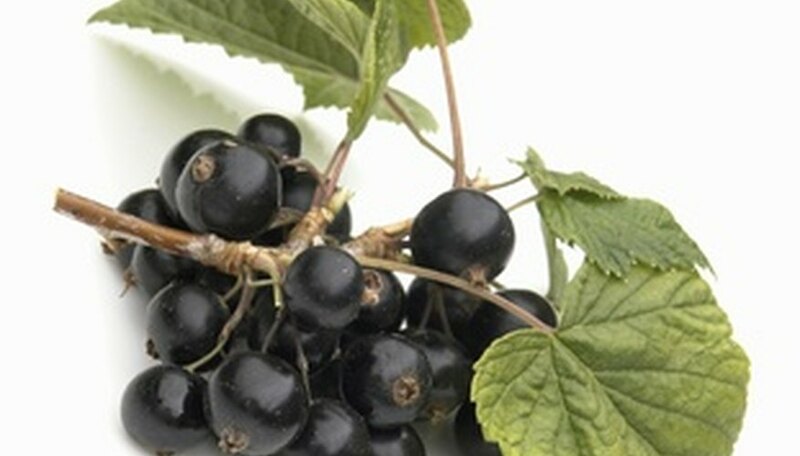 Black currants are a darker purplish-brownish color and tend to ripen from the top downward. Catherine Chase is a professional writer specializing in history and health topics. Chase also covers finance, home improvement and gardening topics. She holds a Bachelor of Arts in American studies from Skidmore College. What Types of Bushes Grow Fruit? When Are Blackberries Ripe in Virginia?